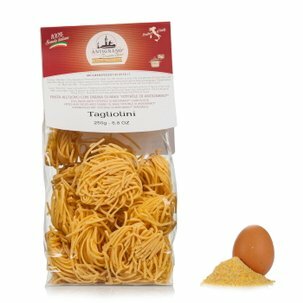 The Tajarin Paglia & Fieno from Antignano are made only using durum wheat semolina. 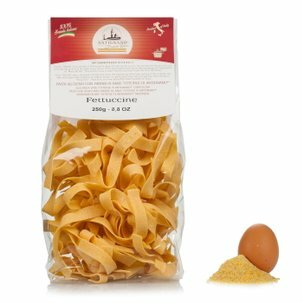 This explains the intense flavour of this typical Piedmontese pasta, made unique due to the high quality of the ingredients and the expert traditional methods. 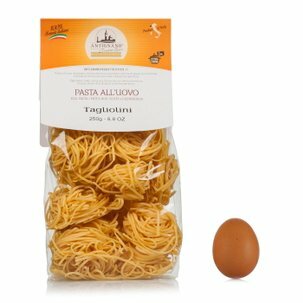 Dehydrated spinach is added to the classic pasta dough used to make the tajarin, and then the resulting pasta is made into nests. The pasta dough is pulled using bronze die extrusion and the long drying takes place at a low temperature. 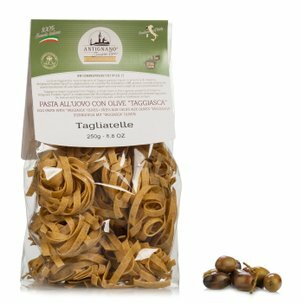 Very versatile to use, the Tajarin Paglia & Fieno are delicious with tomatoes and parmigiano, as well as with a pepper sauce. Ingredients Italian grown durum wheat semolina, eggs (25 g every 100 g, equal to 20%), dried spinach (4% of the dough - 2% of the total). Allergens: contains gluten and eggs. For more information on product labels, please contact our Customer Service department. The information on the labels of the products may vary for reasons beyond our control, therefore, there may be discrepancies between the information on the site and that on the products delivered. Please always check the information on the product before consumption or use.